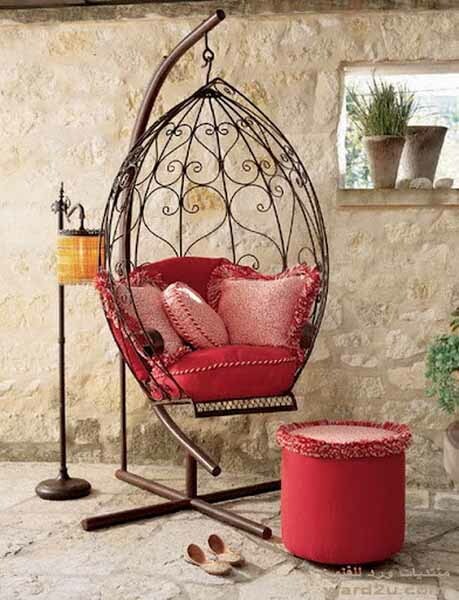 Hanging a hammock chair or a hammock swing daybed adds more fun to your garden, porch, patio, deck and backyard designs, offering a beautiful decorative accent, unique daybed or chair design and extremely comfortable place for rest. 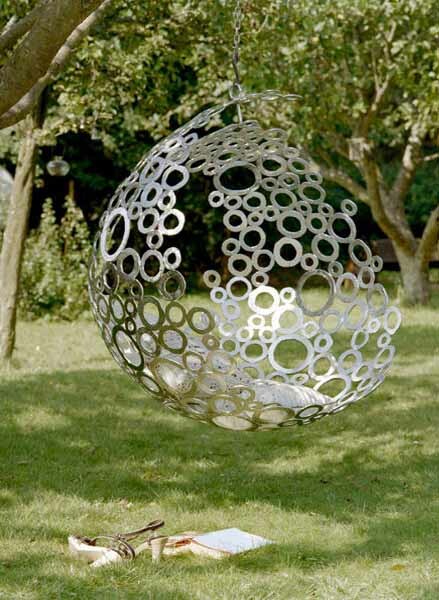 Hanging hammock chair or daybed designs are perfect for enjoying peaceful time outside, reading, knitting, listening music, watching kids and birds, or just relaxing and hanging out with friends and family. Hanging a hammock chair or a daybed allows to spend more time outside and have more fun in your backyard, balcony, patio or porch on sunny and calm days in spring, summer and fall. Hanging an outdoor furniture piece on the porch or a tree adds more comfort and style to your outdoor rooms and backyard designs, making your home more inviting and beautiful. Hanging hammock chairs are available in many different designs, sizes and colors, bringing decorative accents and seducing luxury into your homes and stretching your living space, which is great for new home decorating and home staging. Outdoor wicker furniture and pieces made of fabrics look gorgeous and stylish, adding color and contemporary design to your balcony, porch, garden or backyard designs. 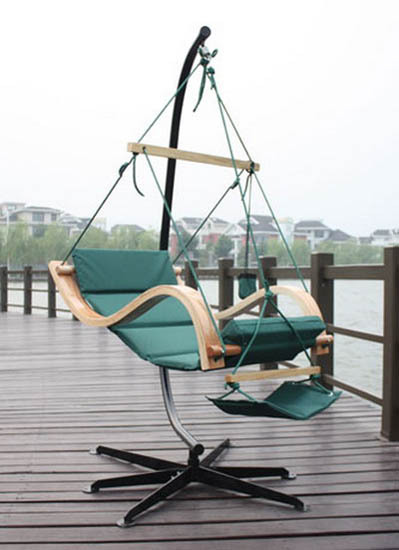 Hanging hammock chairs made of wood and leather, brass and aluminum, brass and steel, felt, cotton and macrame fabrics, and decorated with soft cushions and pillows are excellent outdoor furniture for enjoying the fresh air and sunshine outside. If you are looking for a way to add color and interest to your outdoor rooms, a hanging hammock seat with bright cushions, is a wonderful ideas. 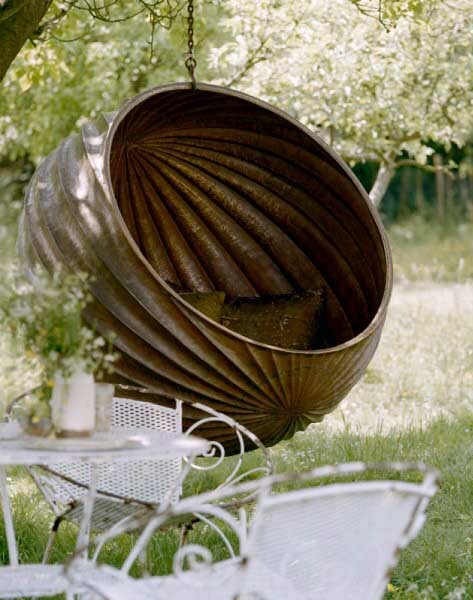 Swing chairs and outdoor daybed designs are beautiful and very decorative. Vivacious colors and cheerful patterns will brighten up your backyard decorating and add life to your balcony, patio or porch decor. 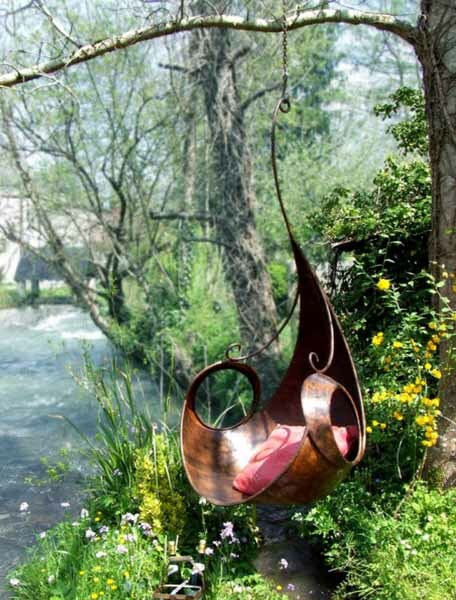 Swinging outdoor furniture pieces make life more enjoyable and pleasant, bringing more smiles and happiness. Life is too short, so do not settle for an ordinary outdoor furniture, when you can have a hammock chair in a beautiful style with attractive, soft and welcoming cushions. 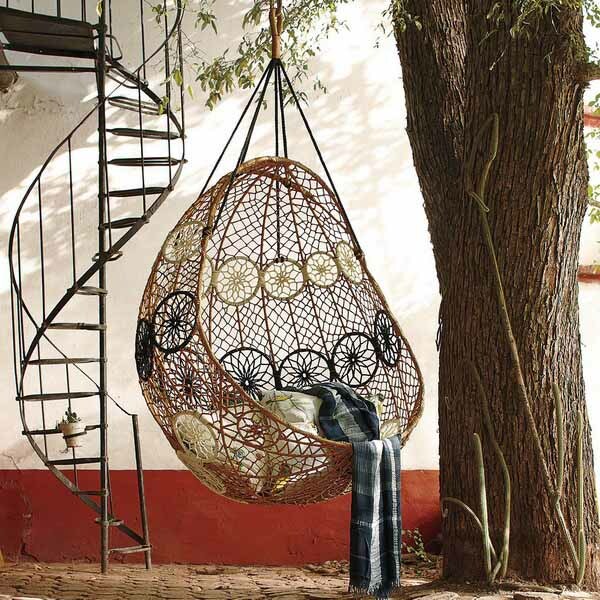 Hanging hammock chair designs from Anthropologie, Maffam Freeform, Patricia Urquiola and Kettal, Fletcher and Myburgh.